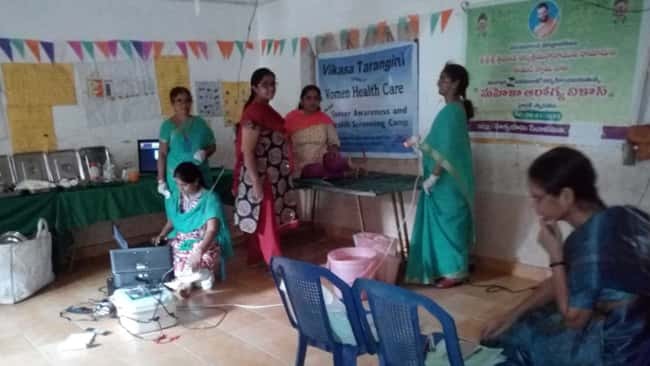 Vikasatarangini conducted Women Health Care Camp and General Medical camp in Vemulawada, Karimnagar in ZPHS Vemulawada. 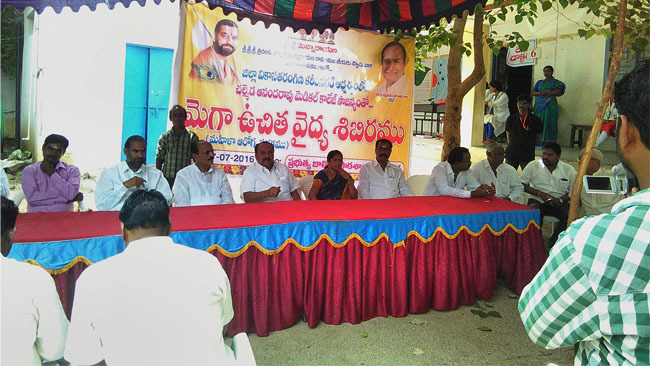 Prior to the camp, survey camp was conducted for three days bringing awareness to Vemulawada people on health check-ups. Chelmada Staff and our Vikasatarangini members supported the camp with full energy and care. 1 woman referred for uterus operation – Emergency operation. Doctors asked her to get admitted the next day. 18 members referred for Lukoma , Hydrosile , Varicocile operations. Next week Chelmada hospital is providing bus for patients from Vemulawada to Chelmada hospital to get treated based on the check-up reports. Thadiyaradhana was also done for hospital staff and Vikasa Tarangini staff.